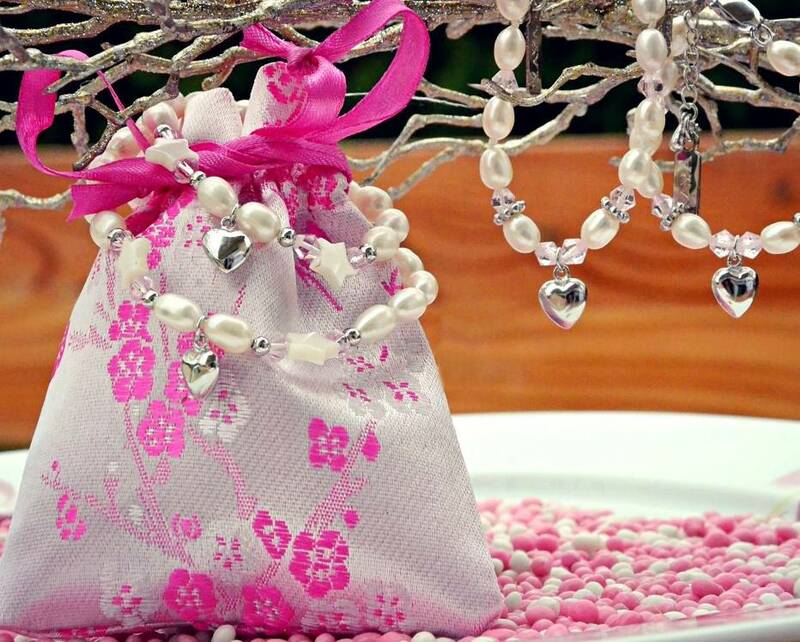 This handmade, delicate gift is a perfect gift for the Big Sister, to let her 'Little Sister' know how much she is loved and appreciated. 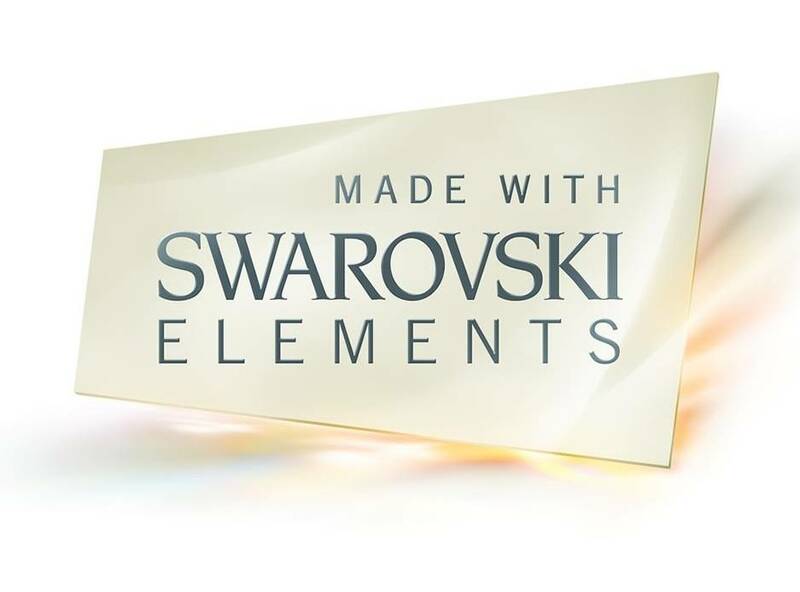 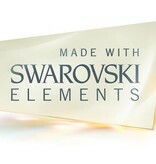 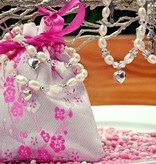 Made of bright white pearls, pink crystals and little silverplated rings, with an engraved charm. 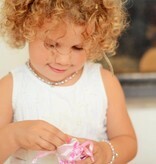 ♥ Especially made to celebrate meaningful moments like a special birthday or just because she is your best little sister! 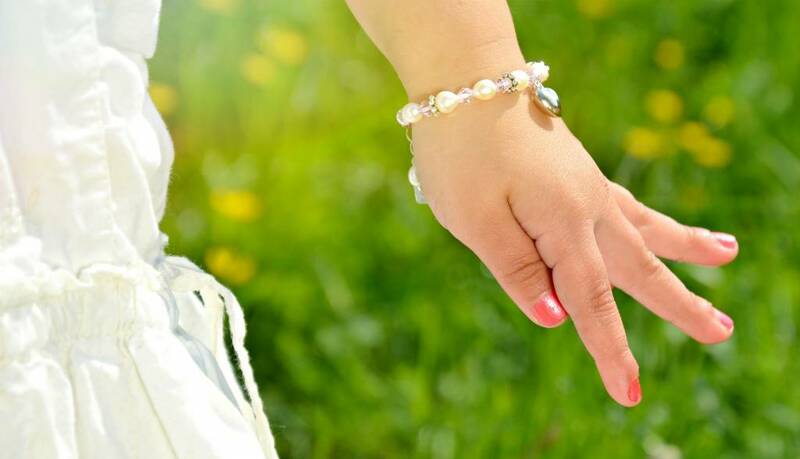 This bracelet is also used as a gift for a newborn baby sister. 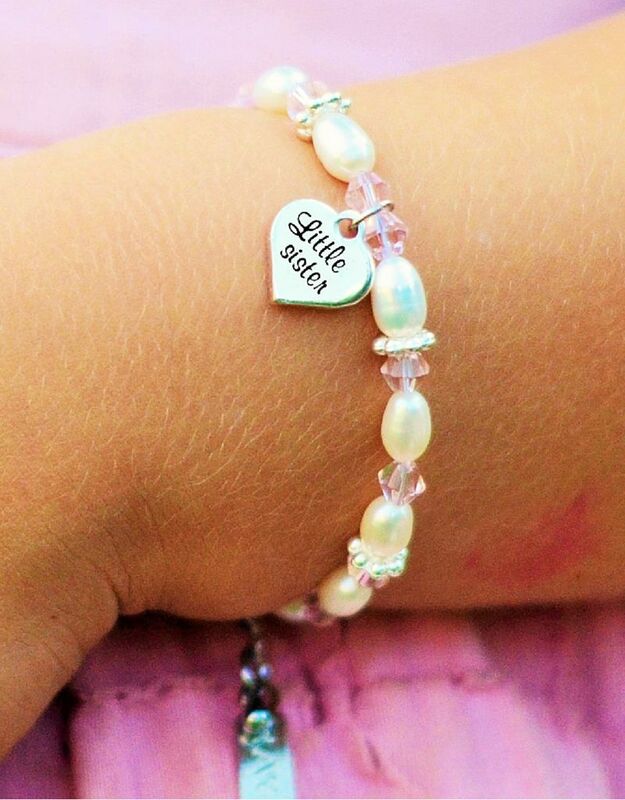 ♥ This bracelet comes with a silverplated charm 'Little Sister'. 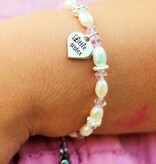 We also have a matching bracelet for 'Big Sister', you can choose this in the menu. 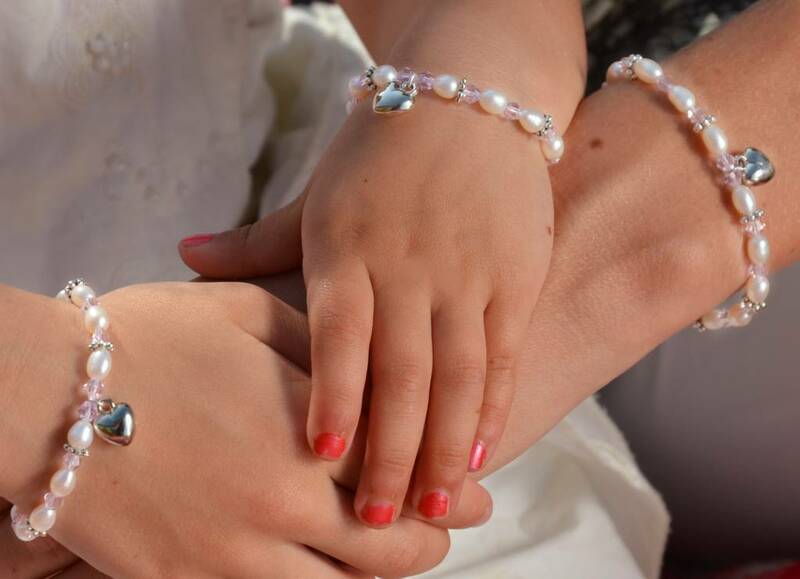 If you would like to order 2 ladies' bracelets with Little & Big sister charms, please order the biggest child's size and let us know in the comments. 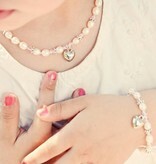 ♥ All our bracelets come with a 3 cm extension chain for a perfect fit. 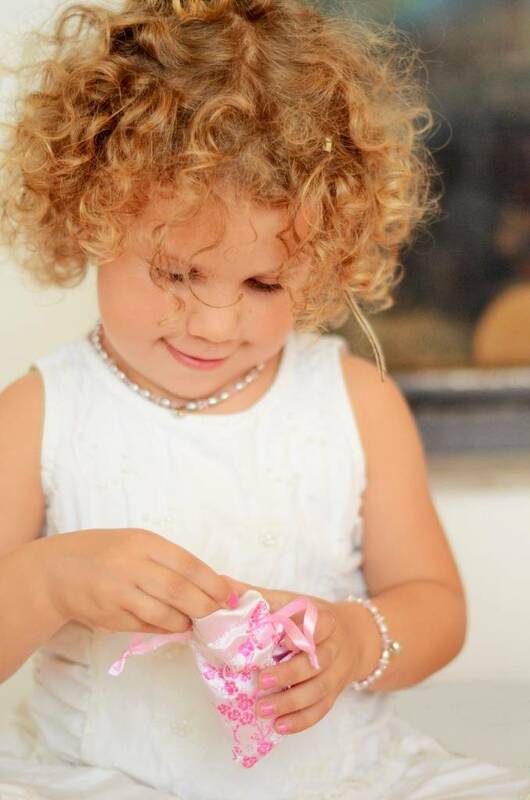 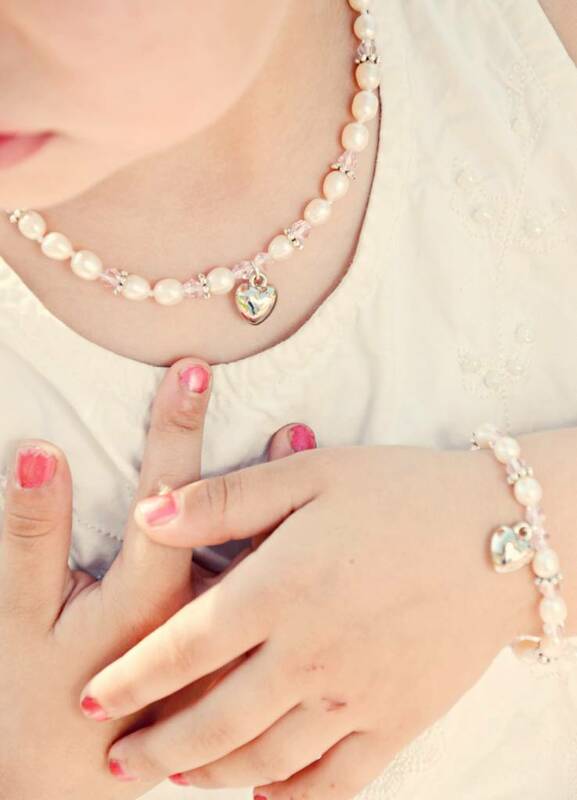 So your little girl will be able to wear her children's bracelet for 2 years longer! 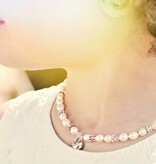 Necklaces have a 4 cm extension chain. 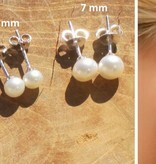 ♥ Matching children's silver earrings or pearl necklace available in the menu at a reduced price. 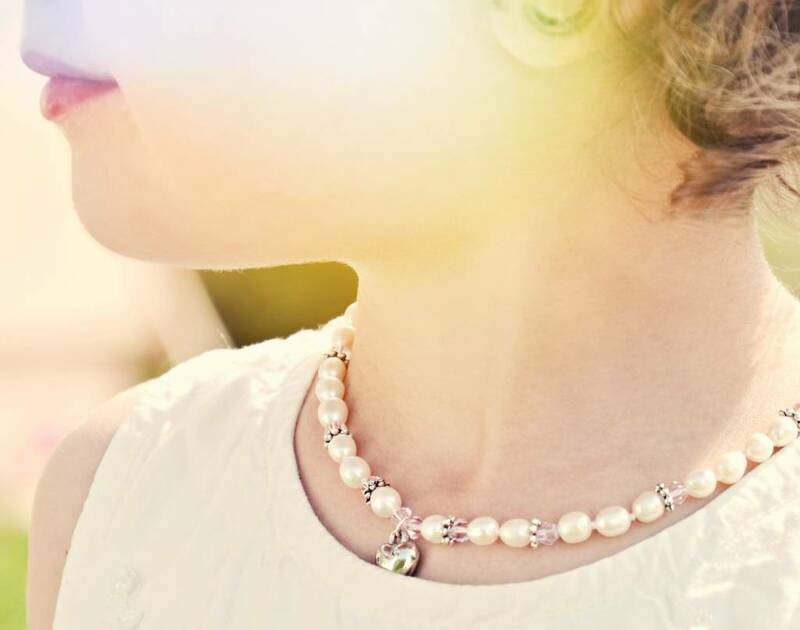 The necklace will also come with a 'Little Sister' charm.